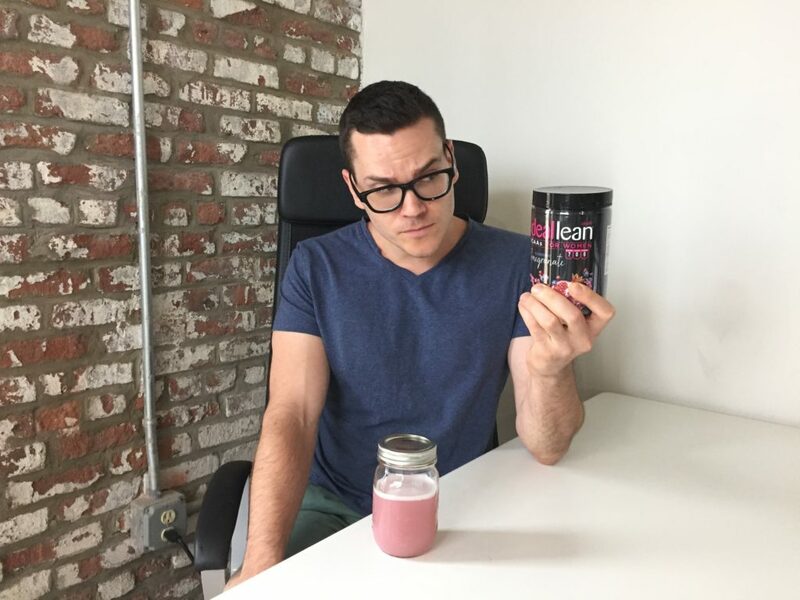 IdealFit is a Utah-based fitness company that targets women with workout programs and clothing but also with supplements like protein powder, pre-workouts, and branch chain amino acids. 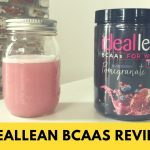 I wanted to try their BCAAs, which include a wide variety of extra ingredients that their site claims can boost metabolism and increase fat burn. 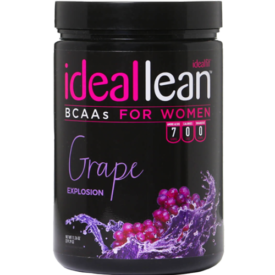 IdealLean BCAAs For Women comes in seven flavors including Apple, Strawberry Kiwi, and Grape. I took Blueberry Pomegranate for a spin. There are zero calories and five grams of branch chain amino acids per serving, and the BCAAs have a 2:1:1 ratio of leucine, isoleucine, and valine. There’s also a solid amount of Vitamins B6 (1000 percent of the RDI), B9 (50 percent), and B12 (3,333 percent). You’ll also find 38 percent of the RDI of magnesium and a gram each of l-citrulline, l-glutamine, and coconut water powder. I’ll discuss their benefits, and those of the other ingredients, in the next section. There’s also the “IdealLean Fat Loss Blend” that’s a proprietary blend of the amino acid phosphatidylserine, CLA (that’s conjugated linoleic acid), green tea extract, and ThermoDiamine®, which is made from evodia rutaecarpa, a berry used in traditional Chinese medicine. After that there’s just the extra ingredients: natural & artificial flavors, citric acid, malic acid, sucralose (an artificial sweetener), silicon dioxide (an anti-caking agent) and some food coloring. Let’s start with the BCAAs: a lot of studies have shown that a 2:1:1 or 3:1:1 ratio of leucine, isoleucine, and valine may improve muscle gain, focus, and endurance during a workout. The L-citrulline has been linked to improved circulation, though for sports performance the dosage is usually recommended at around 6 grams while IdealLean BCAAs just has one gram. But that’s not an unusual amount of citrulline to take as a supplement for general circulatory health, so it probably has some benefit. There’s also a surprisingly high amount of magnesium in this supplement: 38 percent of your RDI. Magnesium is great for recovery and stress management and it might even help with testosterone and fat loss, but IdealLean used the cheapest kind of magnesium (magnesium oxide), which is the most likely to cause intestinal problems among those with sensitive stomachs. Hopefully, that’s not you. There’s also a gram of coconut water powder, the purpose of which appears to be to provide electrolytes. Coconut water has a decent amount of sodium, potassium and magnesium, and while it’s worth pointing out that a gram of coconut water powder has under one percent of the RDI of these minerals, it still provides about as much as you might find in a bottle of Gatorade. The B-Vitamins are a nice addition, as the three of them together have been variously linked to improved energy, focus, and muscle retention. It’s easy to see why they were included. It’s a little hard to say the same for some of the other ingredients. The glutamine is a typical addition; many people feel that it’s a good for building muscle, but when taken as a supplement, most of it gets stored in the gut and doesn’t make its way to the muscles. Then there’s the Fat Loss Blend. The first ingredient is phosphatidylserine, an amino acid that may improve focus and mental health. Usually, you take 100mg three times a day. There’s also CLA, a kind of fat that is often said to improve fat loss, but studies are mixed, if has an effect it’s very mild, and when it’s usually taken in doses of 3 to 6 grams. The entire Fat Loss Blend is 310 milligrams, so it seems like the phosphatidylserine and the CLA may not be effective doses. There’s green tea extract, which their site says will “boost your metabolism” and help burn fat, but studies are mixed and again, the serving size is so small that it probably just provides antioxidants. Lastly, there’s “ThermoDiamine,” which contains evodiamine, which is extracted from a berry that’s used in Traditional Chinese Medicine because it’s said to have a “warming” effect on the body. Some people think it might help burn fat, but there haven’t been any human studies. A lot of rodent studies have shown it may help with fat loss, but a dosage hasn’t been established for people. 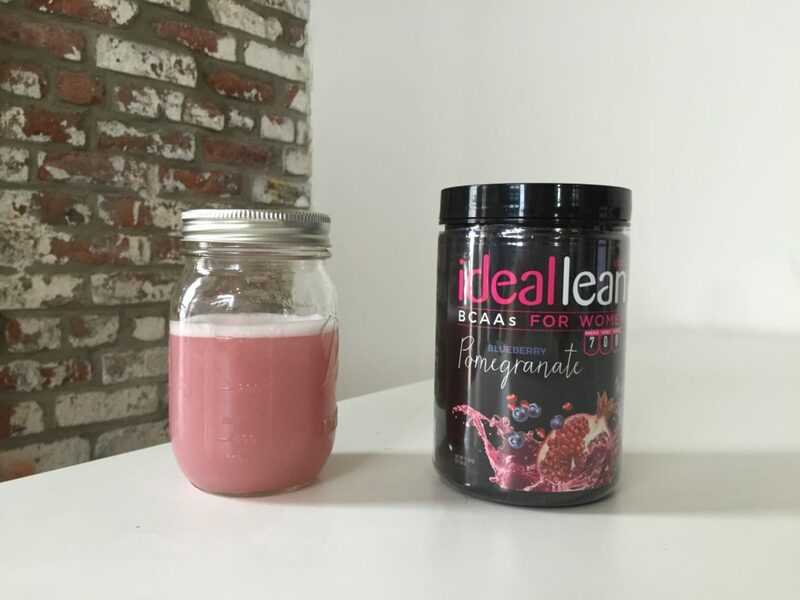 IdealFit's range of products includes protein, BCAAs, and more with an emphasis on fueling workouts and weight loss. Use code BAR10 for 10% off your order! 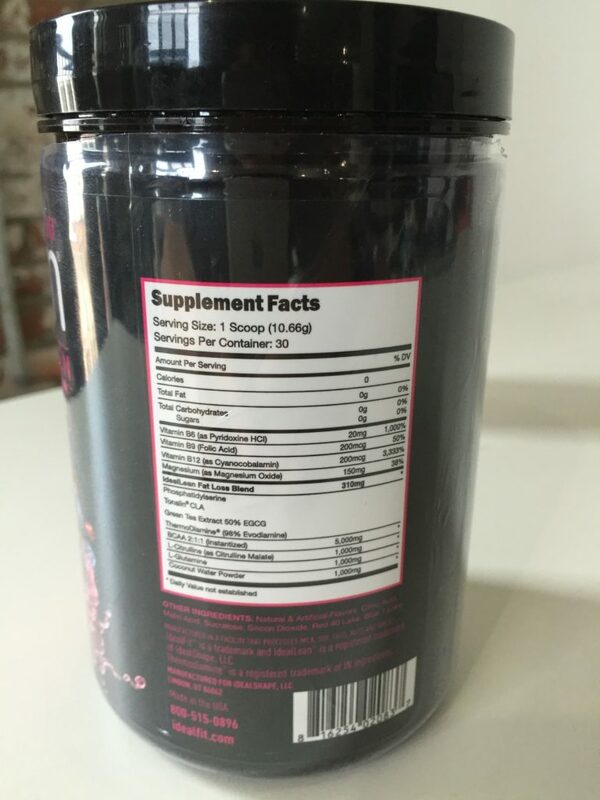 You can pick up a bottle of 30 servings for $35, which makes it $1.16 per serving or 23.2 cents per gram of BCAAs. That’s on the pricy side for BCAAs. Most brands are somewhere between 10 and 12 cents per gram, and a lot of them, like Xtend, also have extras like B-vitamins and citrulline without a higher price. Blueberry Pomegranate tasted absolutely amazing, one of the best BCAAs I’ve ever had. It’s not too sweet, which is rare in a BCAA, and it’s an unusual flavor combination that really works well. There’s a lot going on here. I like the 2:1:1 ratio of BCAAs, I like the B-vitamins, the magnesium, the citrulline, and the fact that there’s no soy. On the other hand, while there’s nothing wrong with the other ingredients, I’m not convinced that they’re present in high enough amounts to have an effect on at loss, if they do indeed have an effect on fat loss — and the research is inconclusive. That would be easy to forgive if IdealLean BCAA were inexpensive, but it isn’t. It’s a good BCAA supplement, a good B-vitamin supplement, and it probably improves circulation and boosts antioxidant levels. I’d rather it were cheaper, but it’s still pretty good — just maybe don’t rely on it for losing fat.